Windows 8.1 gives you a range of amazing features, but users are still missing some features that are not present in Windows 8.1. The absence of Clock from the Start Screen is one of them. 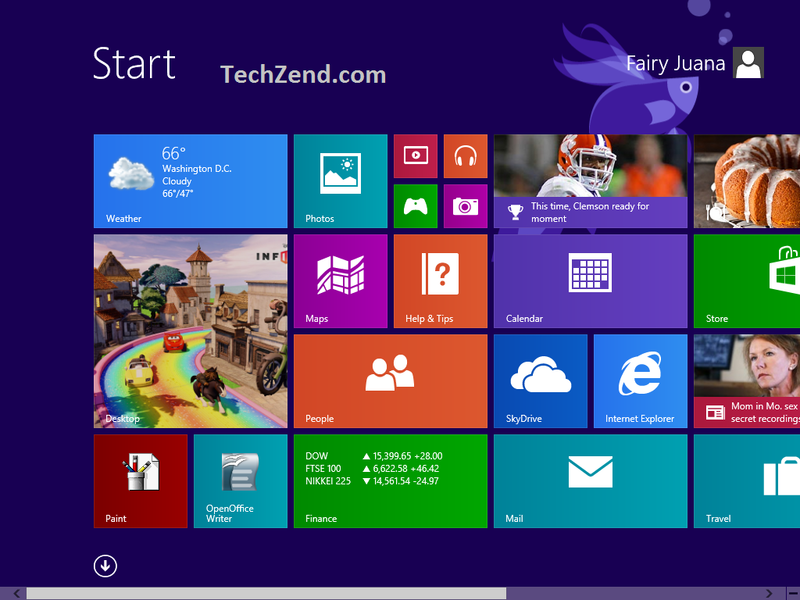 The users of Windows 8.1 are looking here and there to get clock on their Start Screen. You can get a Live tile of clock from Microsoft Windows online store that can be pinned to the Start Screen, but the problem with this process is that the live tile will be active when you open Start Screen and when you leave the screen, it will again be inactive. So it is of no use for the users. Here is another technique that can be adopted to show the clock on your Start Screen. It is amazing, but too simple to follow. 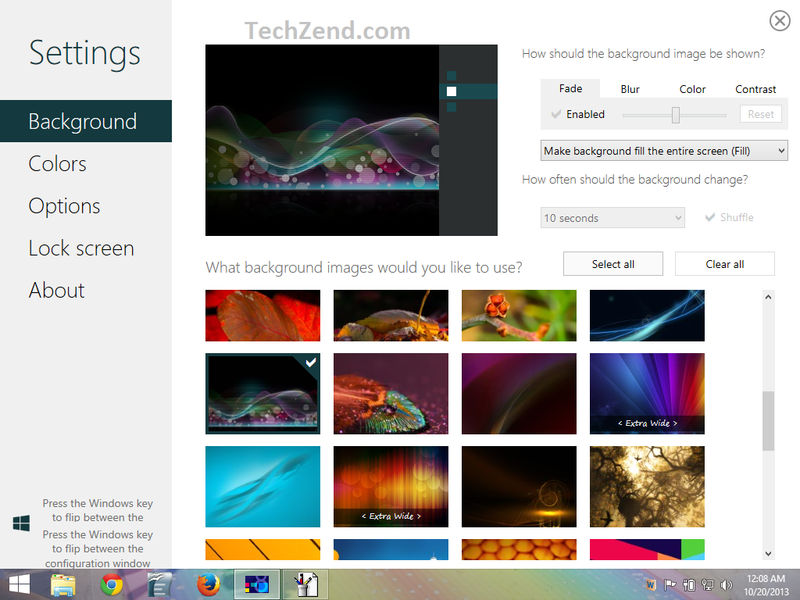 Previously we have discussed to Change Start Screen Background in Windows 8.1 where we used a third-party tool Decor8 for this purpose. 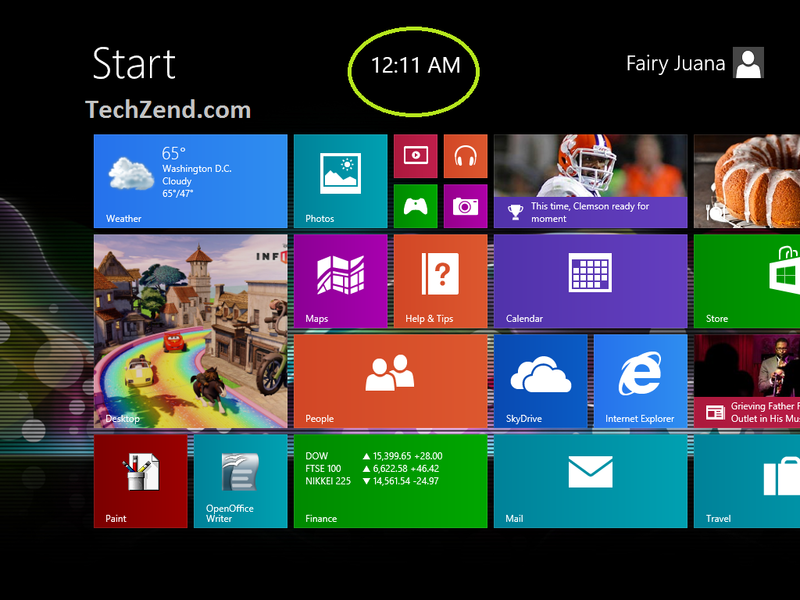 It cannot be used only to change the background of your Start Screen, but also can be used for displaying clock on it. Here is how it can be performed. Step 1: First, click here to get Decor8. Once it is downloaded, you need to install it to your system so that it can be launched. Step 2: Once you have installed it, Decor8 will automatically open on your screen. You will see the menu on the left side where you need to select “Options” to go ahead. 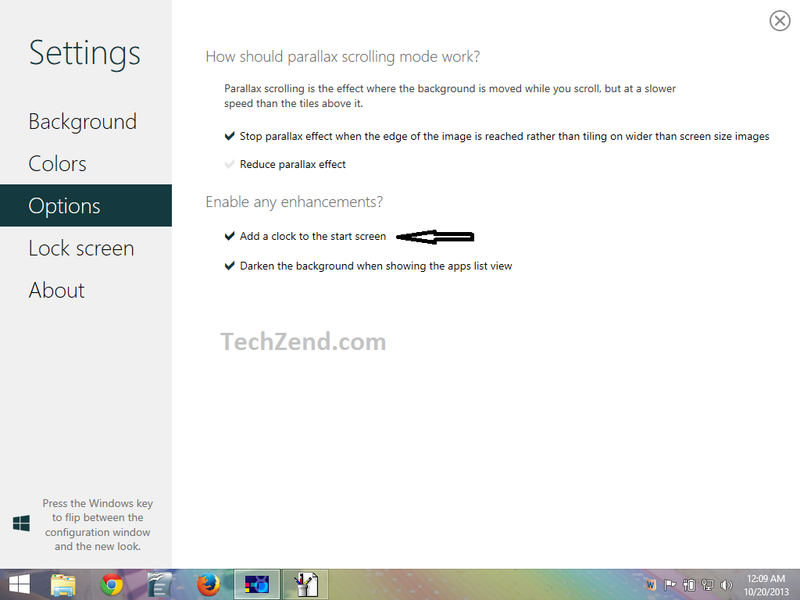 Step 3: Now you will be in “Options” menu where you will see an option “Add a clock to the Start Screen” under the “Enable any enhancements” category. Step 4: That’s all. You have completed the process successfully. Go to the Start Screen where you will see the clock that you wanted to display. So guys! If you want to remove the clock, you just need to follow the same process and uncheck the option “Add a clock to the Start Screen” and the clock will disappear from your Start Screen. It is a wonderful, yet a simple method of displaying clock on Start Screen indeed.